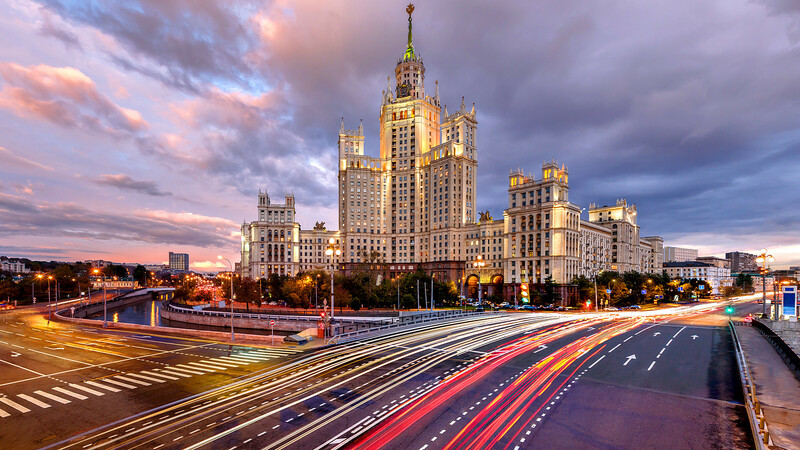 The seven skyscrapers gave birth to a unique architectural style known as Stalinist Empire or Socialist Classicism, inspired by American skyscrapers. 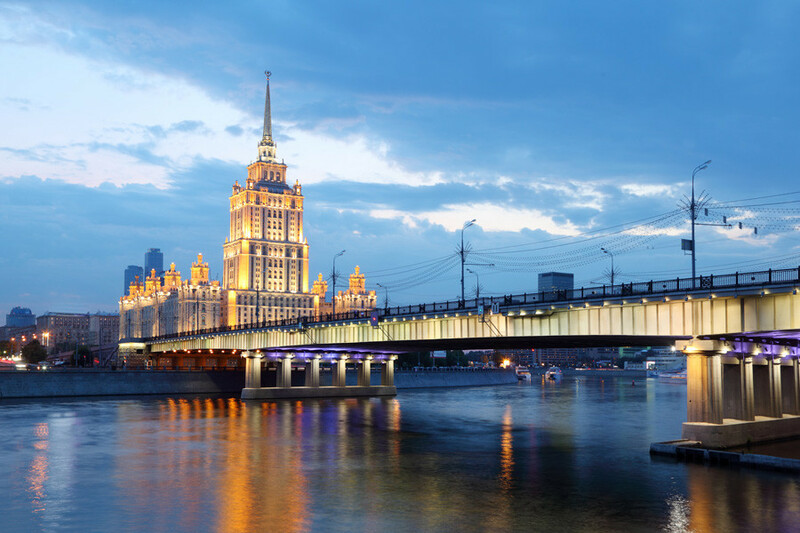 What secrets do these Moscow skyscrapers hold? There’s a bunker under a residential building on Kudrinskaya Square accessible to “diggers” and adventure seekers. With WWII memories still fresh and the Cold War in full swing, Joseph Stalin’s skyscrapers were designed with precautions in mind: Each building had its own underground bunker which could provide shelter to all residents in case of a surprise attack. Rumor has it that there is even is a fully equipped command bunker under the only administration building among the Sisters, the Ministry of Foreign Affairs. There’s a bunker under a residential building on Kudrinskaya Square accessible to “diggers” and adventure seekers. When the construction was finally over, the tilted building simply fell into the right position – a very risky and extraordinary engineering solution. The skyscraper near Krasnye Vorota metro station was probably the most challenging construction for Soviet engineers. The construction of the station, which was going on simultaneously, released a lot of ground water, so to continue working the engineers froze the water, but it caused the ground level to rise. So the builders calculated the degree of artificial tilt needed to neutralize the incline which would have inevitably occurred when the water unfroze and the building settled. When the construction was finally over, the tilted building simply fell into the right position – a very risky and extraordinary engineering solution. Stalin sanctioned the erection of similar skyscrapers in the capitals of other countries in the USSR. As a gesture of goodwill, Stalin sanctioned the erection of similar skyscrapers in the capitals of other countries in the USSR. Clones of the Sisters can be found in Warsaw (the Palace of Culture and Science), Prague (Hotel International), Bucharest (House of the Free Press), and Kiev (Hotel Ukraine). After Stalin’s death, the Soviet government issued a decree condemning architectural excess, which virtually put an end to the unique style. The seven skyscrapers gave birth to a unique architectural style known as Stalinist Empire or Socialist Classicism, inspired by American skyscrapers. All the buildings had a common splendor, luxury, and grandeur to them. 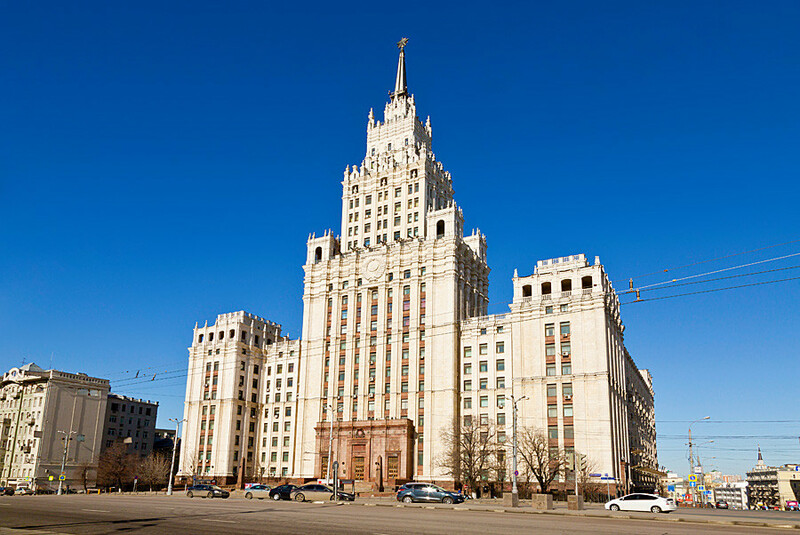 After Stalin’s death, the Soviet government issued a decree condemning architectural excess, which virtually put an end to the unique style. 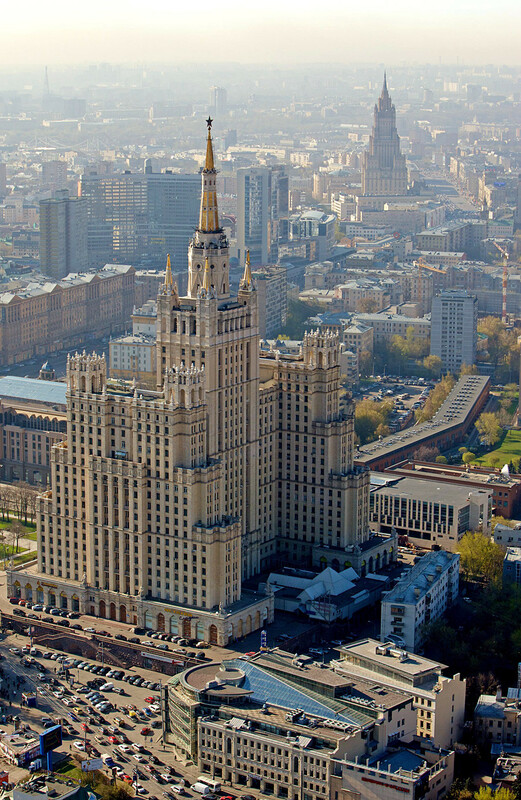 A few weeks ago, Russia’s Ministry of Foreign Affairs received a new steeple, triggering debates about its origins. 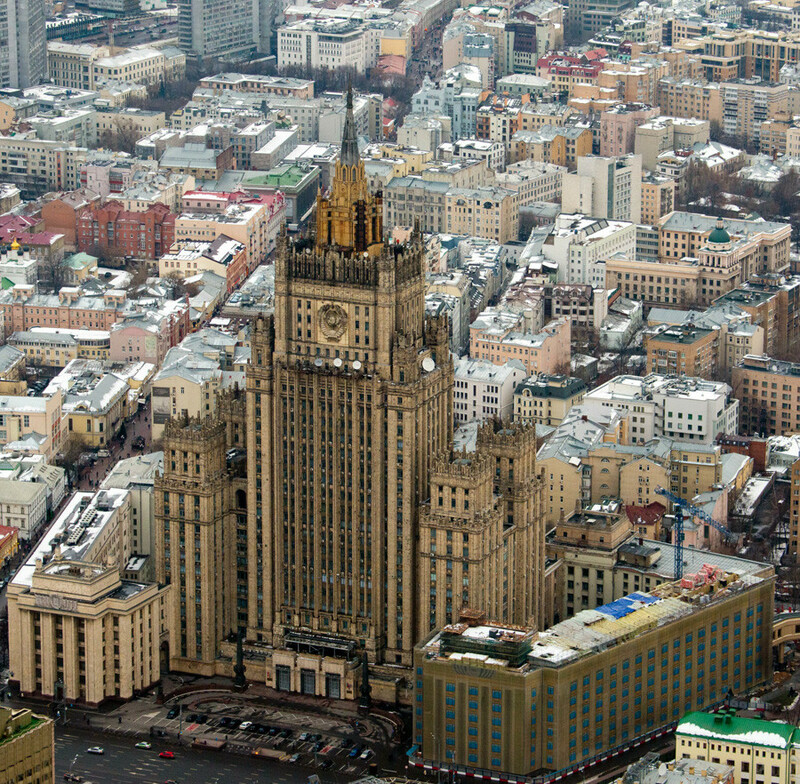 A few weeks ago, Russia’s Ministry of Foreign Affairs received a new steeple, triggering debates about its origins. It turned out that the original steeple, not planned originally, was erected on Stalin’s orders because the building looked too American - in his opinion.